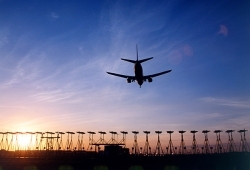 The UK Met Office has signed a new seven-year deal to provide on-site meteorologists and bespoke forecasts for the airfield at London Heathrow Airport, UK. It will be the first time in 15 years that an extended on-site Met Office team will oversee the airfield observations. These observations are crucial in ensuring that the very latest information about the prevailing weather conditions is at the center of the weather forecasts for Heathrow. This will ultimately ensure that key Heathrow stakeholders, such as air traffic control (ATC) and airlines, are kept fully informed of real-time weather at the airport. As well as routine local reports, the Met Office will also produce non-routine reports when significant weather changes occur between scheduled updates.